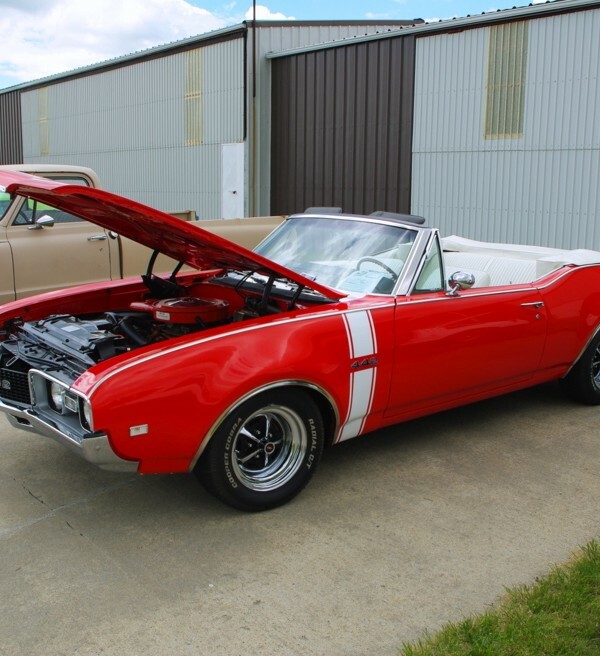 Many muscle car restorations involve a painful attention to detail because the end result is supposed to be a car that is exactly like it was when it rolled off the factory floor. There’s a place for purists in the hobby because these cars represent a place and time in Detroit history. That’s the upside but what happens when a car was ordered 50 years ago with options that don’t appeal to the current owner? 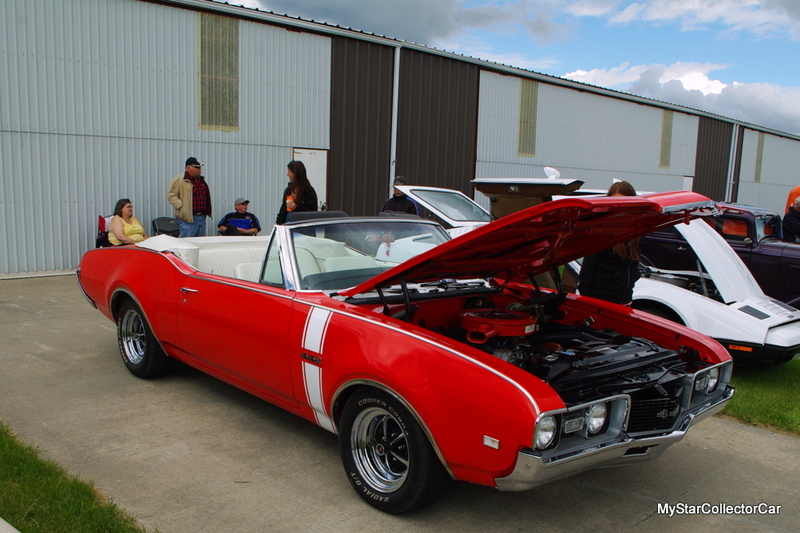 Jim Barbour faced that challenge when he bought a 1968 Olds 442 convertible on November 3, 1997. 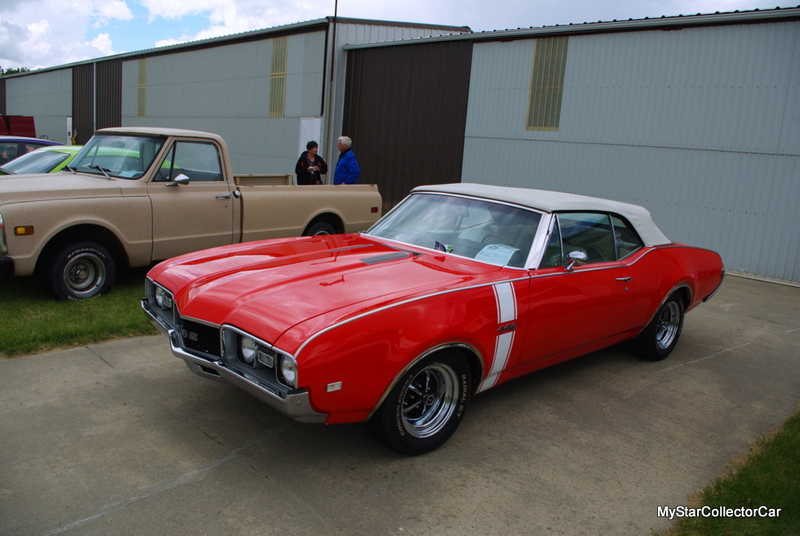 This was definitely a project car and it came from the factory with silver paint, a black roof and interior. That didn’t mesh with Jim’s vision of the 442. Jim is a firm believer in a rule about convertibles—he thinks “they should all be red” so this silver soft top needed a major color change. He went with Corvette Torch Red and the results were spectacular. 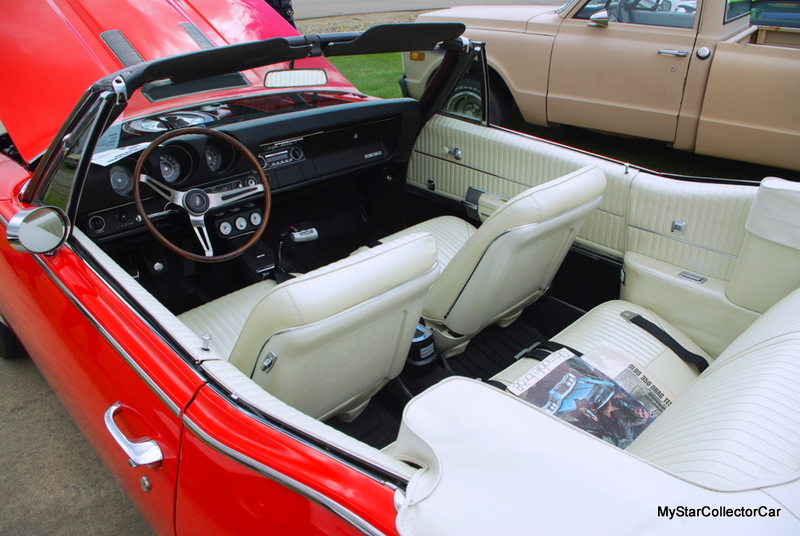 He also wanted to change out the interior because black is like a heat sink when you go roofless so the car is now a white interior, white roofed convertible. The migration from silver to red sound simple on paper but it was just one stage in a major project. 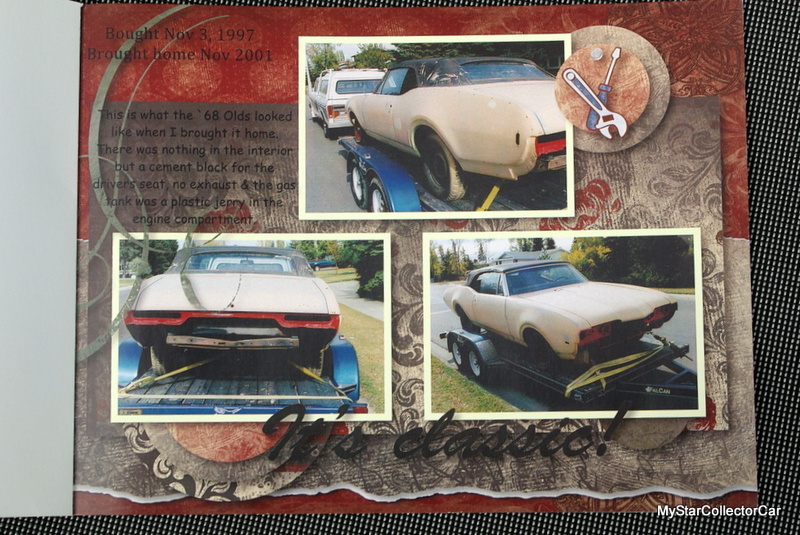 Jim said the car was “torn apart in two and half days and it took two and half years to put it back together”. 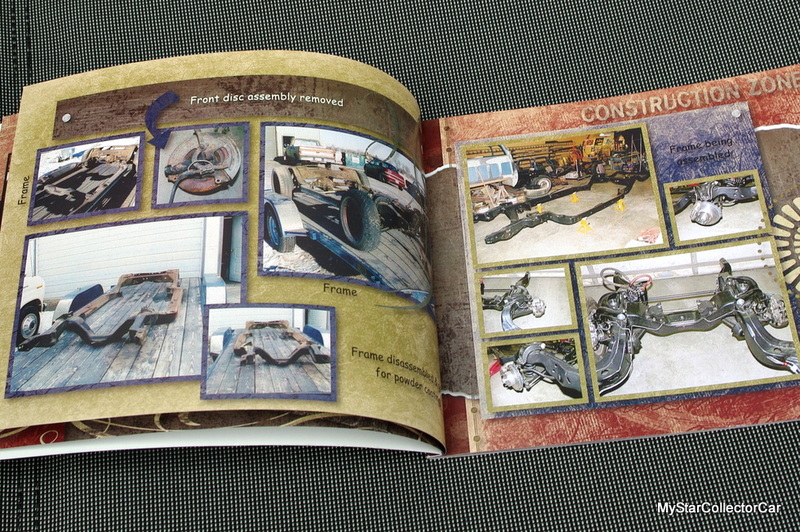 This is a frame-off job so the time frame definitely fits the scope of the project. 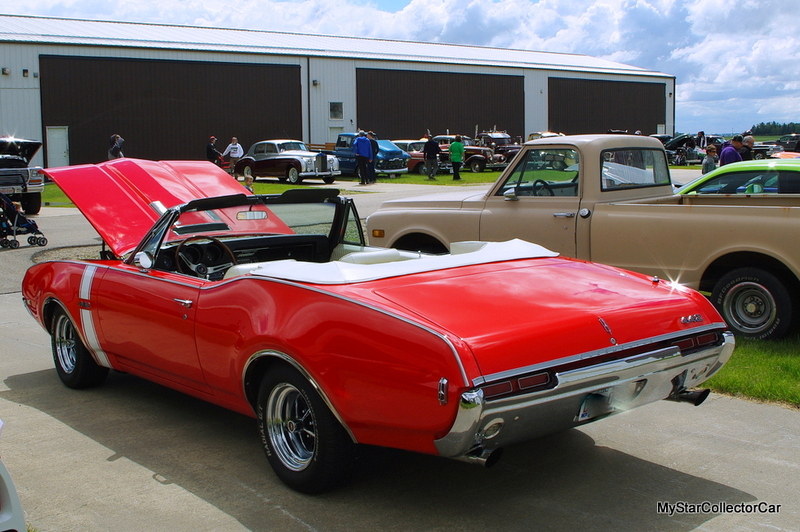 One of the factors was that the rolling shell had no interior so it “had a cement block for a seat”–this is like starting a scoring drive on your own two-yard line in football terms. 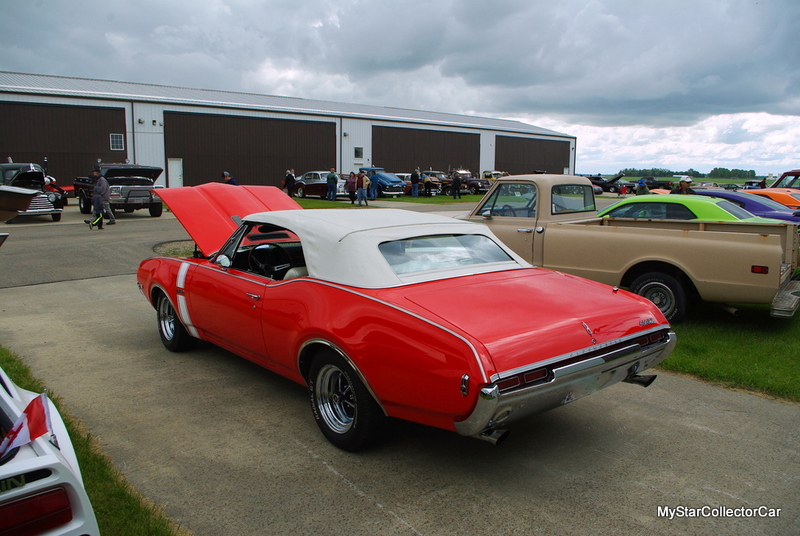 Fortunately Jim is a methodical guy so he applied that philosophy to his 442 convertible—that’s why it’s on the road today. The new white interior was done to factory specs and these are rare cars so the detail is not only painstaking; it’s also costly. Jim’s attention to detail extended to every piece on the car so “every nut and bolt on the car was replaced with grade 8 bolts”. Jim wanted to do this car only once and right at the same time. 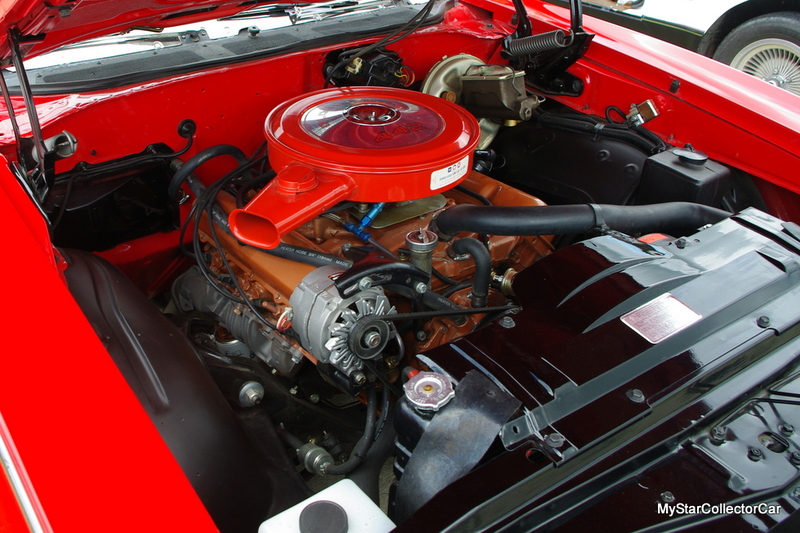 There are a few departures from stock because the 400 cubic inch V-8 is now matched up to a 5-speed manual transmission. The car has a 3:47 rear end so Jim said “it’s just purring at highway speeds” and he estimated the rpms dropped from 3000 to 2000 with the extra gear. 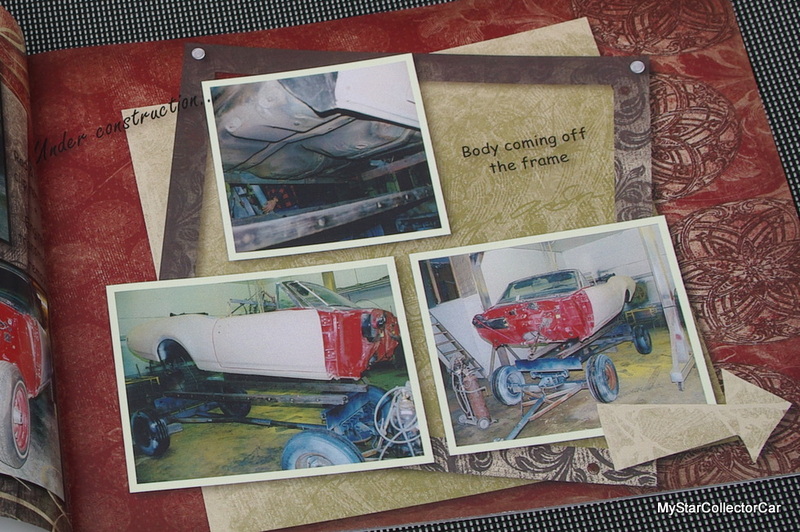 A car project is not for the faint of heart so even though Jim had a hands-on approach to the 442, he didn’t keep track of the cost until it was done. He added up the bills and he conceded “it was a lot” but he’s had the car on the road for 14 years and it’s paid him back many times over. Jim estimated the 442 has been in 84 parades and he’s averaged 2000 miles a year since 2004. He said it’s still “beautiful to drive and it behaves well in hot weather”. He has another resto-mod ’68 442 two-door hardtop with a monster engine and he calls it “The Thumper” because he pounds on it. 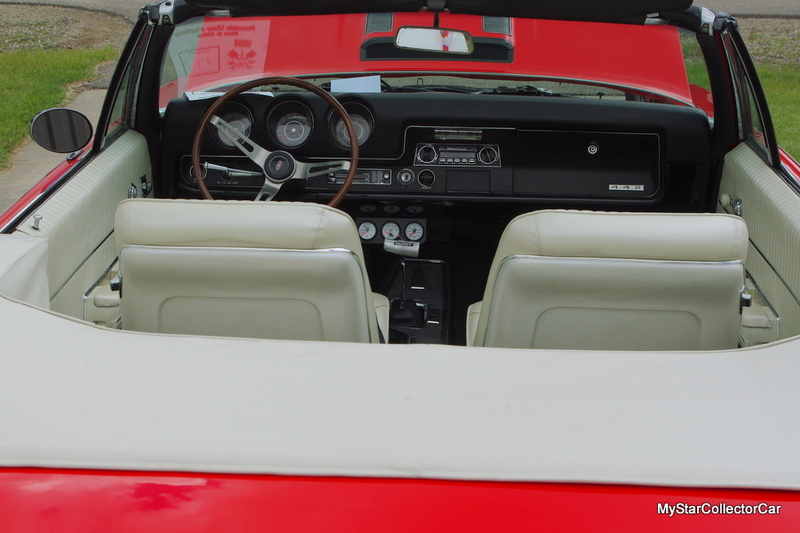 This convertible is called “The Driver” because he’s far tamer behind the wheel of this 442. 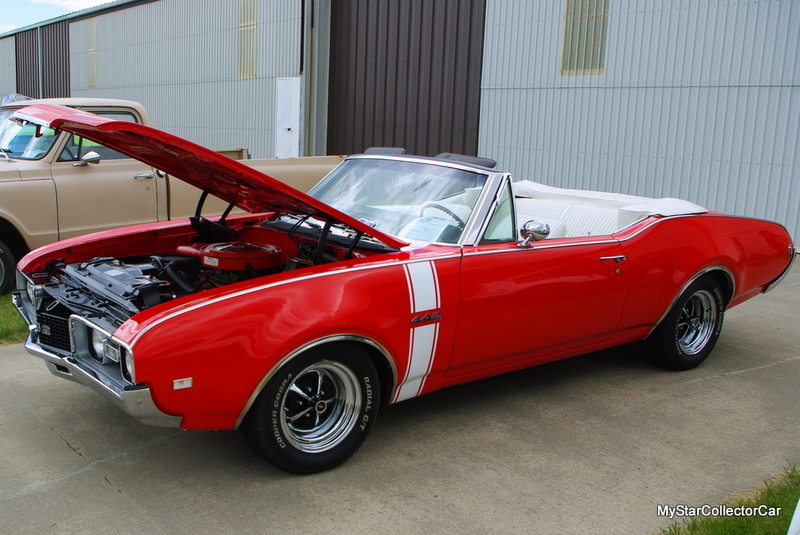 He treats his ’68 Olds 442 with the utmost respect and it gets regular wax jobs—so many his wife joked that his car just “slides out of the garage”. The car may not have come from the factory with Vette red paint but Jim is going to make sure the new finish will outlast the original one.